Canihua – known by the mountain people of Peru for centuries as extremely healthy and protein rich food. Canihua has a high protein content and provides folic acid, magnesium and valuable dietary fiber. 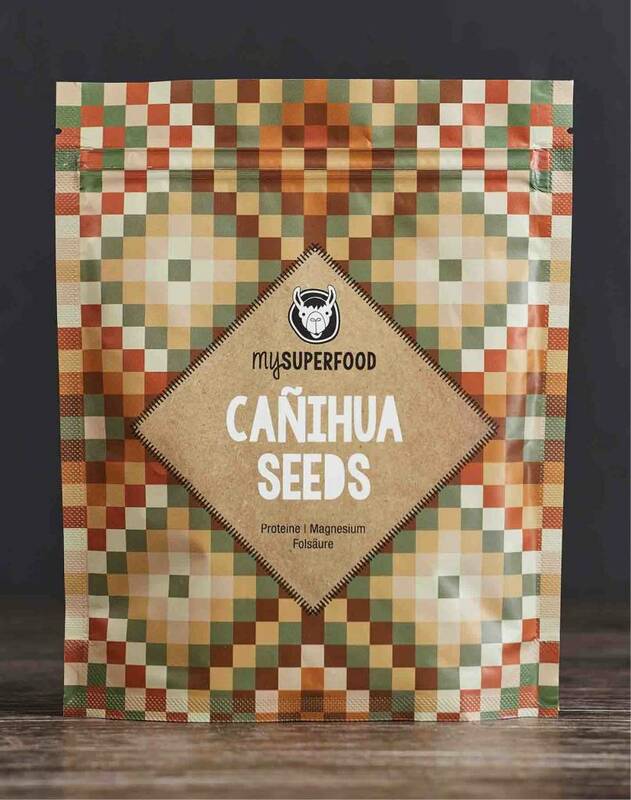 Canihua is the rather unknown sister of quinoa: Canihua seeds are smaller and are distinguished by a significantly higher protein content. Canihua provides folic acid, magnesium and valuable dietary fiber. Because of the many nutrients found in Canihua it is particularly popular by pregnant women, people with allergies (it is gluten free), vegans and all those who are health conscious. Canihua has a pleasant chocolatty-nuttty flavor and is great for use in smoothies, desserts, baked goods and salads. 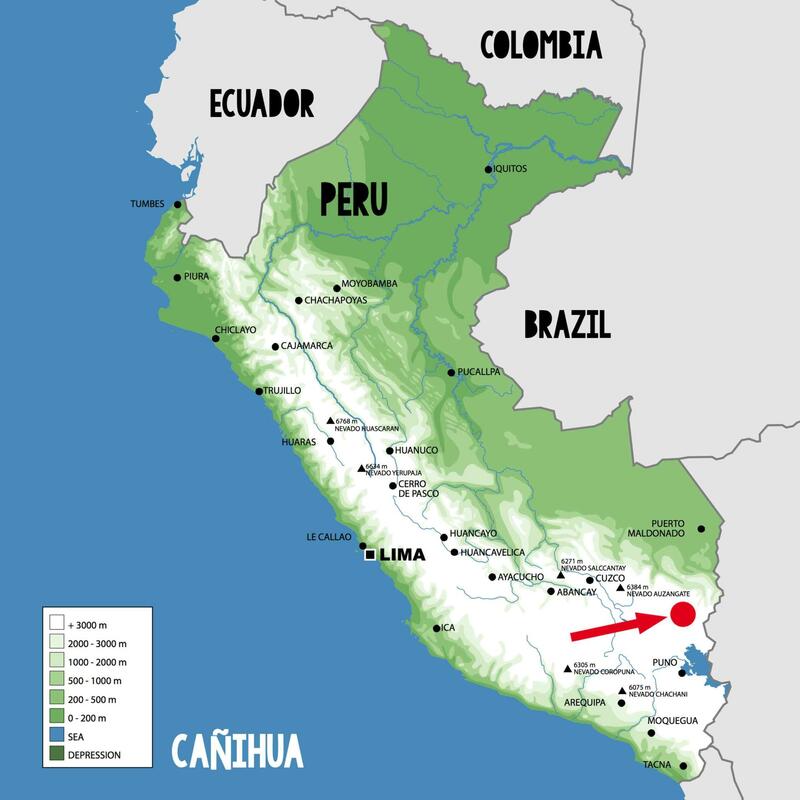 We buy our canihua seed directly from producers in Peru. Our canihua is cultivated according to old tradition by small family farms at an altitude of 4,000 meters in the Altiplano of Peru and is then gently processed. Canihua is a plant traditionally grown in Peru and Bolivia at an altitude of 4,000 meter and has very good protein content (15 g per 100 g). 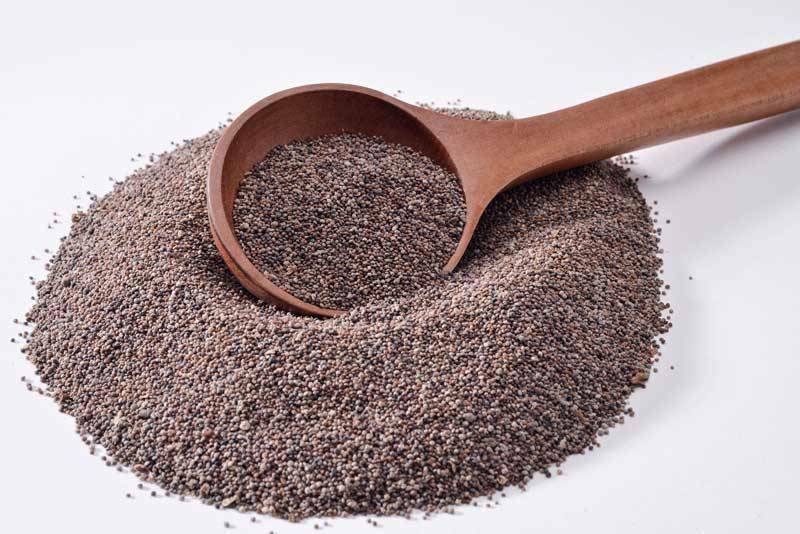 Additionally, Canihua has a high mineral content, especially iron for blood formation (14 mg per 100 g, which is about 80% of the recommended daily dose for women, and 120 % for men), as well as zinc for the support of the immune system and folic acid which is so important for pregnancies. Folic Acid is necessary for cell division and blood formation and is important for protein metabolism (100 g, which is 123% of the recommended daily dose). Canihua has a significant number of essential amino acids that cannot be produced by the body and must be absorbed through nutrition: Lysine, Isoleucine, Phenylalanine and Tryptophan. The interesting part is, that canihua seeds taste like chocolate, but contain 2/3 less fat. Another positive aspect is that 40% is made up of linoleic acid, which is beneficial for the body. Canihua has been used in Peru and Bolivia as a natural remedy for bacterial intestinal infections for centuries. The plant is also supposed to help with altitude sickness. 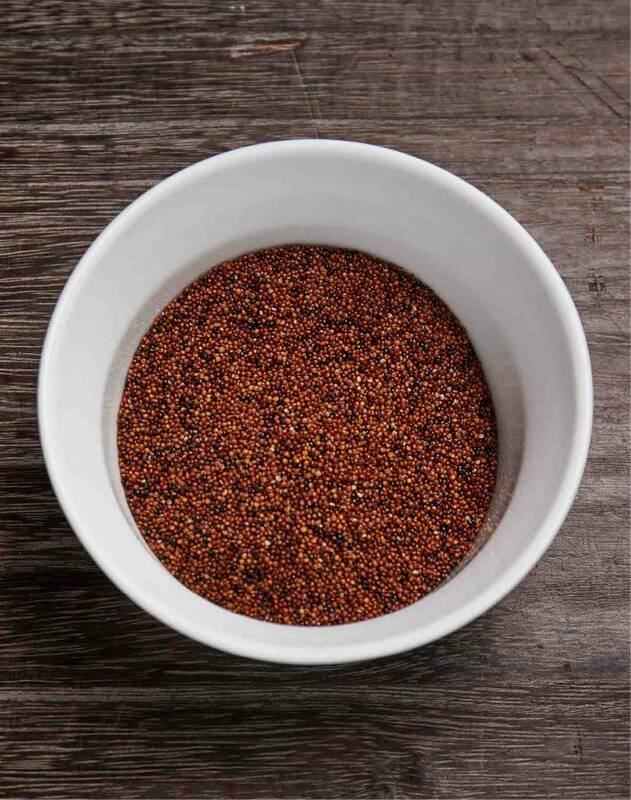 Unlike Quinoa, Canihua does not contain any bitter substances that need to be removed. All in all the amount of protein and iron is of great interest to vegans and its energy boosting quality is a plus. Important for those with allergies: it is gluten free. 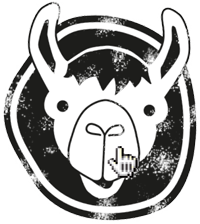 Our Canihua is organically grown by small farmer families in the peruvian Altiplano at an altitude of 4.000 m. The farms are located northerly of Lake Titicaca. This plant is indigenous to Peru and Bolivia and belongs to the frost resistant goosefoot family which grows in the Altiplano at an altitude of 4,000 meters. Canihua is a so-called pseudo grain and is also referred to as baby quinoa. Compared to quinoa, Canihua has a noticeably higher nutrient percentage. Canihua is still cultivated according to old tradition: after harvest in autumn the plants stay in the field to dry and afterwards threshed by machine or hand. Canihua grains are then cleaned and packaged. The small, brown Canihua seeds can be roasted and ground and used in drinks. In baked goods they can be mixed with wheat flour for up to 20%, which makes the end product especially tasty. It can also be processed into flour to make a great variety of foods, e.g. Canihua bread. A delicious porridge can also be made out of the nutty, chocolate flavored Canihua grains, or they can be popped like popcorn in the pan and used as an ingredient in muesli. 1 - 3 x daily sprinkle or mix 1 tablespoon (abt. 10 - 12 g) canihua seeds into dishes. The entire Canihua plant can be used: leaves can be eaten like spinach and even the stems have a use: their ashes can be used as insect repellant and help to avoid painful spider bites. The chaff left over after harvest is used in animal feed by farmers.